2.1 What are ovarian cysts? Ovarian cysts are tumors that take place in the ovary. Functional ovarian cysts that develop after ovulation, which disappear in about two months without treatment. 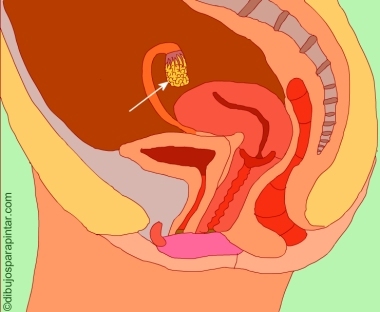 Excess of androgens is responsible for polycystic ovaries, which has its manifestation in the development of amenorrhoea and require appropriate treatment to eliminate the adverse effect of androgen excess. Antitumor plants, to prevent the appearance of cysts or delay their development. Antioxidant plants, which are the best prevention against the appearance of free radicals, main responsible for the development of tumors, both benign and cancerous. 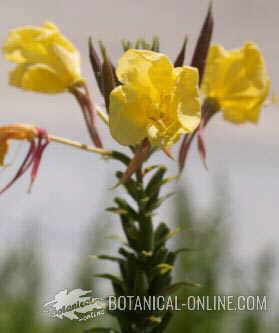 Analgesic plants to reduce pain. Dandelion: (Taraxacum officinale Weber) (infusion of a spoonful of dry leaves. Three cups per day). Pasque Flower: (Anemone pulsatilla L) (Tincture of the fresh plant). Never use during pregnancy. Toxic by accumulation, use with caution! Juba’s bush (Iresine diffusa): It is not fully demonstrated its use as an antitumor, although it is considered that the extract is beneficial for the treatment of prostate cancer, cervical fibroids, breast tumors and ovarian cysts. The best remedy is to apply poultices to reduce pain. 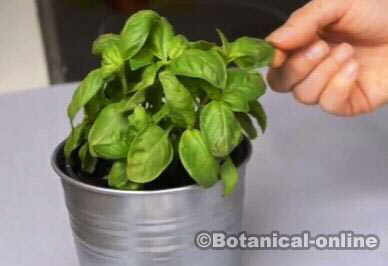 Basil: (Ocimum basilicum L) abdominal massage with its oil. Acanthus: (Acanthus mollis L.) Vaginal douches. More information on ovarian cysts.